As they get older, many kids will develop the idea that non-fiction is boring, or a turn-off. Yet, when they're very young, they don't really make the distinction between the fiction and non-fiction. What a perfect opportunity to tap into their enthusiasm for learning. For this list, I decided to pair complimentary fiction and non-fiction titles. I was inspired when I noticed that some of the narratives my daughter loves include interesting details about the natural world. I gave her non-fiction books from which she could learn even more, and she was delighted. In fact, so was I! From Carle's beautiful illustrations to the clever cut-outs in the pages and repetitious text, there are many reasons why this tale has endured. It also happens to follow one insatiable little fellow from the egg stage through transformation to beautiful butterfly. Very young kids might not even be up for accessing Gibbons' text, but each page has a beautiful full-color illustration complete with scientific labels. Kids will enjoy pointing at these and learning the names for different phases of the butterfly life cycle. This book is a great introduction to non-fiction texts, and will grow with your child as she becomes more literate. Gibbons is a master of non-fiction for children. Again, Carle uses the magic of the natural world as the basis for a story that your child will want to hear over and over again. 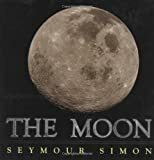 This book has beautiful fold-out pages that show the moon as it wanes until it's small enough that Papa can bring it down to Earth so his daughter Monica can play with it. Mysteriously, the moon disappears completely before reappearing, "a thin sliver of moon." Simon is another genius of children's non-fiction. This book, originally published in 1984 and updated in 2003, has highly-detailed, full color NASA photographs that are sure to inspire future astronauts. This entertaining book by the talented and prolific Yolen is a rhyming text about the behavior that dinosaurs exhibit when Daddy and Mommy say it's time for bed. Kids will giggle when they see enormous dinosaurs demanding one more story or throwing their teddy bears on the floor. As an added bonus, Mark Teaque's hilarious illustrations are full of playful details to pour over. 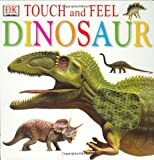 There are certainly lots of books out there about dinosaurs, but this one is great for the youngest lover of these large beasts. The tactile pages are a big hit with kids, and will help in developing vocabulary about different textures. DK Publishing is a giant in non-fiction books for children. They produce everything from board books for infants and toddlers to encyclopedias and lovely books about single topics for older kids. This engaging book tells the story of an in-your-face urban garbage truck. Readers accompany him on his nocturnal journey as he goes around "eating" all our trash. Husband and wife team Kate )who wrote the text) and Jim McMullan (who illustrated) have since applied their winning formula to other vehicles, but this stinky garbage truck is my favorite. And, as any parent of a city kid knows, garbage trucks hold an allure that's hard to match. Like dinosaurs, trucks are a common subject in kids' books. This one is very simple, with colorful, easily recognizable photographs displaying a wide variety of trucks. Kids will have fun identifying the familiar ones and expanding their vocabulary as they learn the vehicles' names. 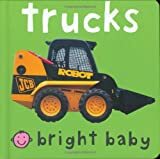 The Bright Baby series is a favorite of mine for very young kids. In this wonderful story about the intrepid Madeline, the city of Paris itself is practically a character. The city's parks, bridges, and squares are beautifully and uniquely rendered by Bemelmans. The pictures, rhyming text, and entertaining twist at the end will engage readers of any age. Sasek's creative illustrations are not what you think of when you imagine a non-fiction text, but they imbue the Parisian scenes with life and humor. Sasek expanded his successful This is... series to include several global cities. This book was written in 1959 and updated in 2004.